Renting a manor house in the Midlands makes perfect sense if your guests are coming from the South and North. 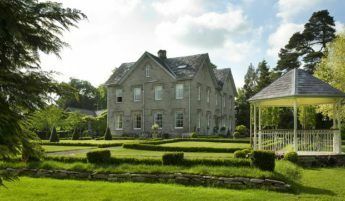 It’s easy to hire an exclusive-use property in the area, whether for a beautiful wedding (see Telfit Farm) or a big family party to celebrate a special birthday. We have a number of excellent properties in most Midlands counties, from the beautiful moated Brinsop Court in Herefordshire to Stretton House in Derbyshire. At Little Gaerfields there is an indoor pool and fresh eggs for breakfast. Or perhaps you’d prefer somewhere with serious walking? Try the Cliff House in Derbyshire. The house is in the Peak District National Park, and is very near to the Monsal Trail. Great for family cycling too! A welcoming Derbyshire manor house, set in beautiful gardens.